From 1976 to 1980 – the game was calm and charming but was monotonous ! – Bjorn Borg continued to win Wimbledon and in 1981, the young tantrum throwing John McEnroe beat him. In 1985, another young acrobatic player emerged – I did not like him those days, primarily because, he defeated Ivan Lendl in the finals of 1986. I was waiting with bated breathe hoping against hope that my favourite the ice-cool talented Ivan Lendl would win Wimbledon but sadly it was not to be .. as the 18-year-old West German made it back-to-back Wimbledon titles, beating pre-tournament favorite Ivan Lendl, 6-4, 6-3, 7-5. Lendl was exceptionally consistent too – but was to lose again in 1987, this time to Aussie Pat Cash. 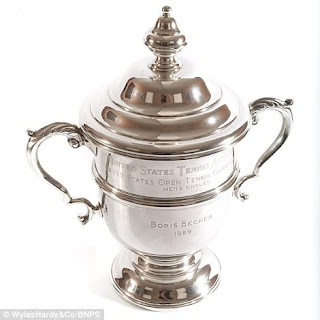 In 1989 – for the 10th time in 10 trips to Wimbledon, Lendl left knowing that he has to wait until next year for another shot at winning the only Grand Slam title that has eluded him. Lendl, dueled ably with Becker through two sets but suffered a failure of nerve in the fifth and left Wimbledon the way he usually does, angry, after Becker's 7-5, 6-7, 2-6, 6-4, 6-3 victory. 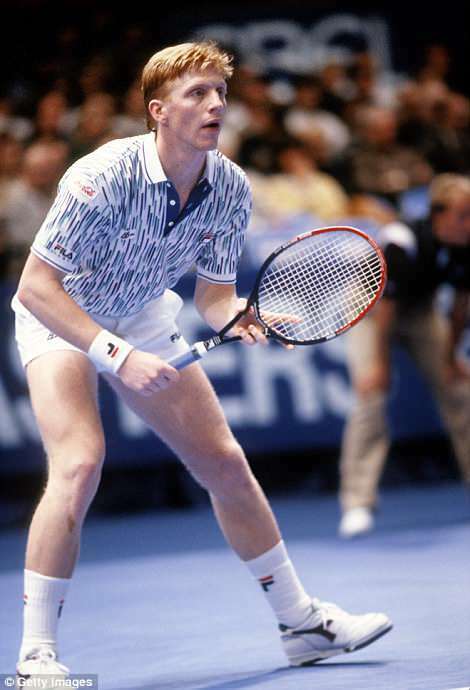 The match sent the 21-year-old Becker into the finals against the defending champion, Stefan Edberg of Sweden. 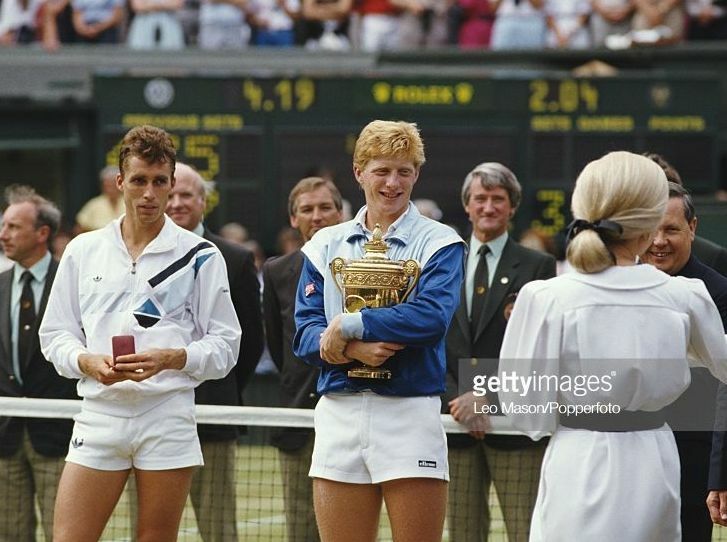 Boom boom Becker, as he was known then - Boris Franz Becker became the youngest Wimbledon men's champion when he was 17 years, 7 months and 15 days. It was 1985 – Becker burst on to top fame becoming the first unseeded player and the first German to win the Wimbledon singles title, defeating Kevin Curren in four sets. Becker was at that time ranked 20th in ATP ranking, and was unseeded, but Wimbledon did not then seed players beyond the top 16. He was the youngest ever male Grand Slam singles champion at 17 years, 227 days (a record later broken by Michael Chang in 1989, who won the French Open when he was 17 years, 110 days). In 1987 Becker, then ranked world no. 2, was upset in the second round of Wimbledon by the world no. 70 player, Peter Doohan. In the Davis Cup that year, Becker and John McEnroe played one of the longest matches in tennis history. Becker won 4–6, 15–13, 8–10, 6–2, 6–2 (at that time, there were no tiebreaks in the Davis Cup). The match lasted 6 hours and 22 minutes. Becker was back in the Wimbledon final in 1988, where he lost in four sets to Stefan Edberg in a match that marked the start of one of Wimbledon's great rivalries. Becker also helped West Germany win its first Davis Cup in 1988. Boris had it all — six grand-slam tennis titles, models hanging off his arm and luxury houses all over the world. At the height of his career, the German ace had amassed a reported $63 million in prize money and sponsorships, but now the man once known as “Boom Boom” for his ferocious serve has gone from boom boom to bust ! ~ By 1993, issues back home over his courtship of and marriage to Barbara Feltus, whose mother was German and father was African-American, and tax problems with the German Government, had caused Becker to slide into a severe mid-career decline. His down slide was too rapid that his astonishing climb !! Ardent fans of the game are saddened to read that the star is selling off an array of trophies and mementos from his glittering career. Last month it was revealed Becker had split from his Dutch model wife Lilly, 41, after nine years of marriage - while his mansion in Majorca is on the market for £9million, but is currently being occupied by squatters. Auction house Wyles Hardy & Co, of Hemel Hempstead, Hertfordshire, has been estimating the value of his trophies and memorabilia which cannot be removed from his or his mother's homes. 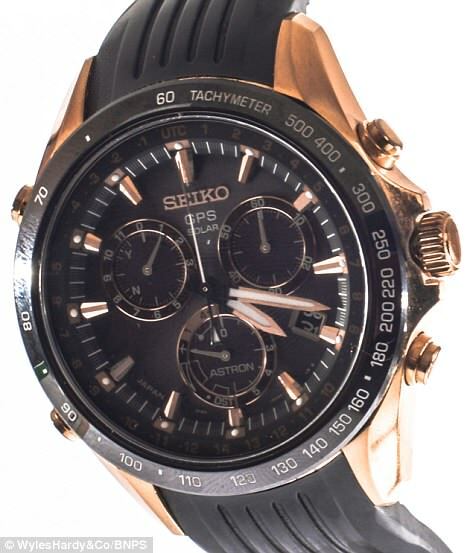 Many items used by him including his personal collections like Seiko watch are on sale. The auction comes after it was revealed last month that Becker had split from his wife Lilly after nine years of marriage during which they had a son, Amadeus, now eight. Becker reportedly earned about £100million during his career but was declared bankrupt over an undisclosed sum owed to a private bank. The court in London ordered his assets and property to be disposed of to meet his debts.